A team of scientists, using images from the High Resolution Imaging Science Experiment (HiRISE) camera on board NASA’s Mars Reconnaissance Orbiter, have reported direct evidence of lake shorelines in the ShalbatanaVallis in Mars. 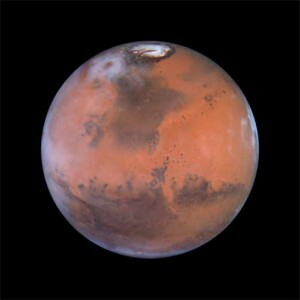 Scientists generally believe that warm, wet conditions existed on Mars until only about 3.7 billion years ago. In recent years, however, remote sensing studies have hinted at the existence of Martian lakes during the Hesperian epoch (about 3.5 billion to 1.8 billion years ago). Now, sub-meter-scale images from NASA’s Mars Reconnaissance Orbiter show clear, unambiguous evidence of shorelines of a lake more than 450 meters (1,476 feet) deep that formed about 3.4 billion years ago. Prince William gives Kate Middleton his mother's ring!